Hooray! We made it. We had just enough flower arrangements. But let me start at the beginning. The Aleethia Foundation Friday night dinner was held at the National Press Club on 14th Street in Washington. It is an impressive building with lots and lots of memorabilia of current and past news makers. What a great place to have a dinner for our wounded warriors. The guest speaker was a wounded warrior himself who is now working for the American Legion in Texas. Not only did the American Legion sponsor the dinner, but they also provided 4 iPads as door prizes and information on how the current wounded warriors can get different types of assistance through the legions in their area. The dinner was very good and the company even better. I can say that our flowers did wonders to the tables and the room itself was much warmer and a beautiful place. And, here is the best part. Just before our wonderful volunteers were finish making their last arrangement on Friday, Michele asked each of us to make just one more. 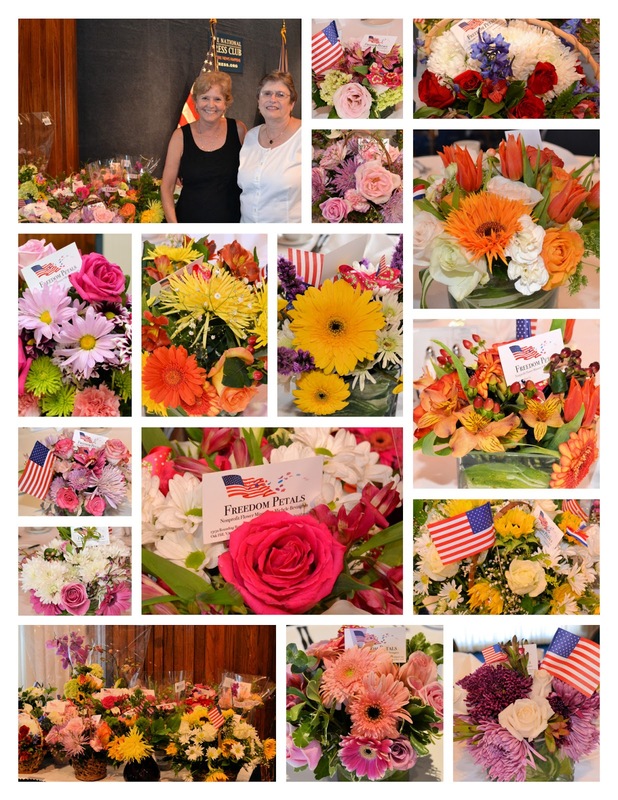 It was a good thing she did, as we were able to give each lady at the dinner an arrangement to take home. I am saying that we gave every one of the arrangements away with NOTHING left over. 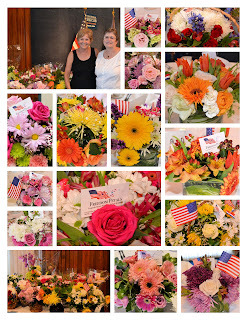 Every women in the room was able to take home flowers (to their excitement). Now you understand why we say HOORAY! Every women walked out of the dinner happily carrying flowers. Phew!! !